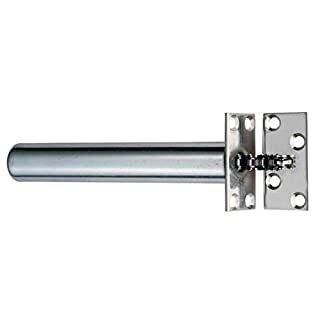 The Supreme Kick Down Door Stop is an elegantly simple design which employs the use of a spring and latch system to make use of the door stop easy and effortless - without even having to use the hands. The door stop can be applied by simply treading on the top button to hold a door in position. 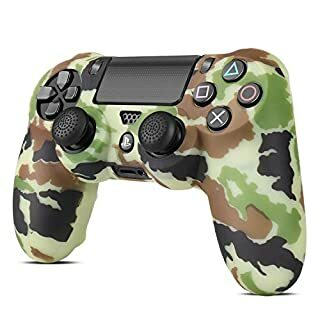 I can then be released by kicking the latch just beside the button. 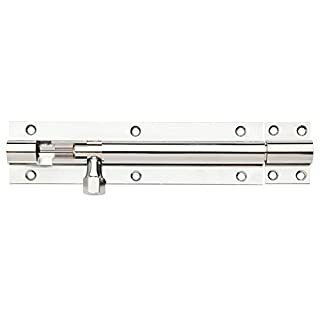 This door stop on a strict vertical vector, making the motion absolutely simplified and minimising the moving parts to a single spring and eliminating all angles of operation. This results in a product that is not only slim, compact and refined, but also incredibly durable and heavy duty, guaranteeing a lifetime's worth of use. 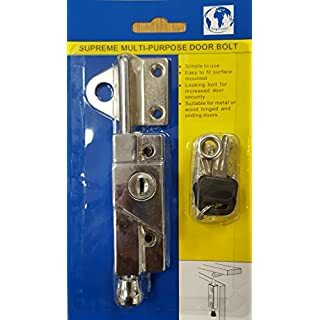 The supreme multi purpose bolt offers the convenience and versatility of a locking bolt that can be used to secure almost all types of door and window mechanism, at an affordable price, with no compromise on quality or durability. 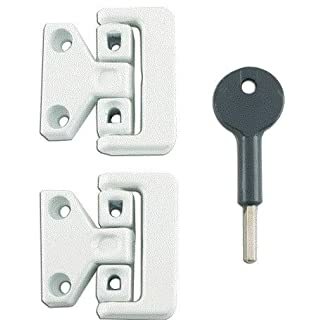 The Supreme Window toggle lock (8K101 type) are of quality that is second to non. 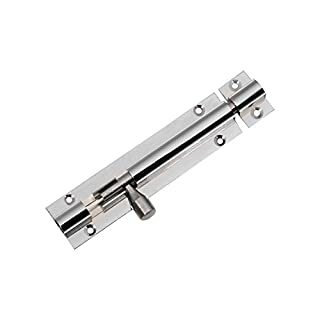 They are built especially for wooden window to the highest standard for casement window locks to ensure there is no compromise in the safety, rigidity, durability or function, whatsoever. 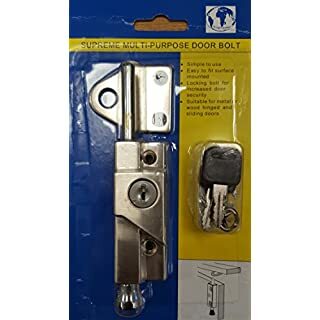 Along side all of this, we offer great value for money compared with window locks of the equivalent standard in other brands.These work for securing casement windows to a very high standard as well as a replacement/upgrade for other window locks. This pack is a great buy with 2 locks, screw, caps and a key, all included. The Supreme Glass & Tile Drill Bit is a unique drill bit set due to the 4x point star profile of the bit head. 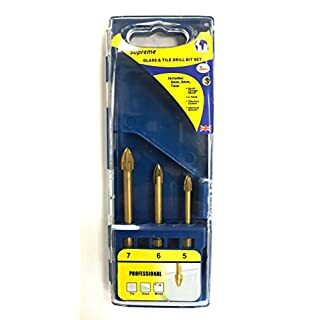 This 4x point headed bits allows for a much easier, smoother and quicker bore into glass, mirror, tile and porcelain, as a result of the increased number of point leaves, allowing for increased material removal force. 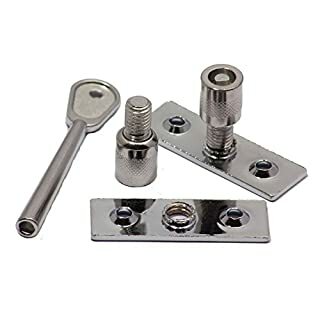 The bits are also constructed out of hardened steel, which makes these bits far longer lasting than normal ones as well delivering a far superior performance to most, if not all other other products of its kind. 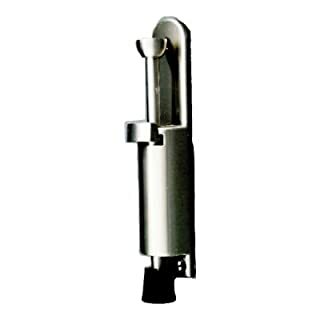 Each point, on each bit, is steel fashioned, titanium coated and diamond cut, to provide the ultimate sharpness in bladed points of the bit, for long lasting, optimum, speedy performance, for effortless drilling of glass and tile. The chuck end of the bit is also of an ergonomic hex profile, allowing for a quick change action, to assist in making the process of using the drill bits as quick and easy as possible. Through thorough market research, Supreme Hardware has found that 5mm, 6mm & 7mm are the most useful and popular bore sizes for drilling into most glass and tiles, therefore, the set is created with most convenient and universal sizes for the greatest value. The Supreme Nightlatch is of quality second to none. It contains all the endowments of the bigger brands at an affordable and fair price. With an exquisite surface finish, as well an improved, uniquely designed locking mechanism and latch, you can rest assured that the Supreme Nightlatch will never stick or jam and will work to the highest order for its lifetime. 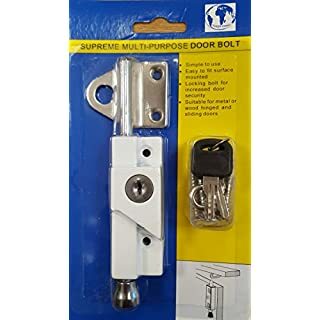 The Supreme Window toggle lock (8K106 type) are of quality that is second to non. 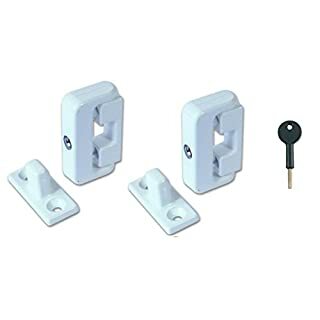 They are built especially for metal and UPVC window to the highest standard for casement window locks to ensure there is no compromise in the safety, rigidity, durability or function, whatsoever. 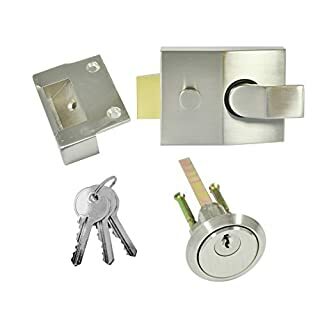 Along side all of this, we offer great value for money compared with window locks of the equivalent standard in other brands.These work for securing casement windows to a very high standard as well as a replacement/upgrade for other window locks. This pack is a great buy with 2 locks, screw, caps and a key, all included. The Supreme Concealed Door Chain Closer is a high quality unit with the all endowments of the big brands, at a much more reasonable cost. 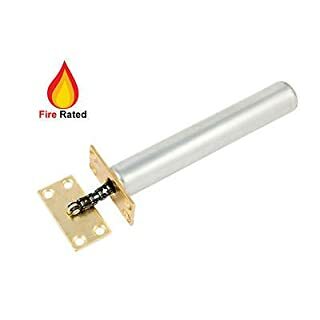 With an uncompromised build, the chain door closer boasts up to half an hour fire rating and so fits the specification perfectly for most building regulations. 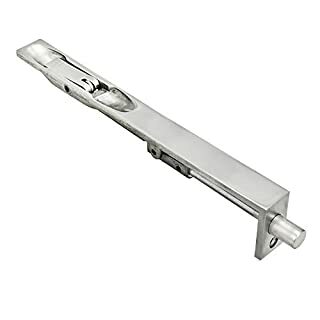 Unlike surface fit and overhead door closers, the Supreme Chain Closer is less of an eye sore and is very much out of the line of sight and will go forever unnoticed after fitting to the inside edge of the door. 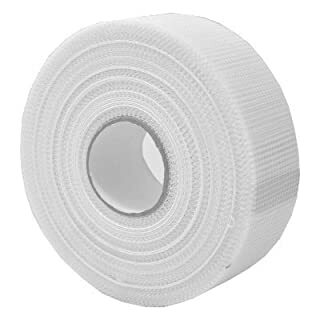 Supreme Self-Adhesive Scrim tape is ideal for taping and reinforcing dry wall joints and repairs on holes or cracks in dry wall. The tape is self adhesive so leads to easy application. Supreme is a brand which stands for a highly desirable fusion of high quality and low prices. 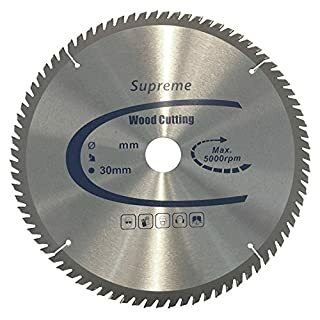 High end circular saw blades, to get the job done right, the first time. Makes astoundingly easy work of sawing timber. Constructed from carefully selected high quality materials to leave a long lasting blade which delivers excellent results. Suitable for sliding timber sash windows. Secures the window in the closed or slightly open position for ventilation by preventing it sliding past the stop. Manufactured from High Quality Steel Fitting Instructions Included. 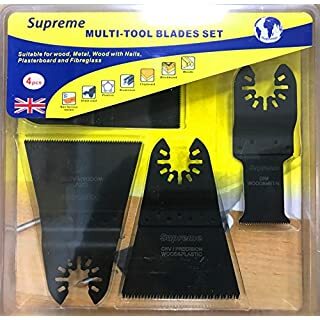 The Supreme Multi-tool Blade set is the perfect all in one blade set for all your cutting needs. 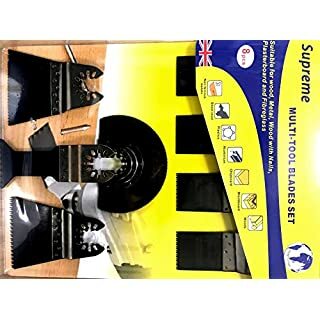 Containing a mixture of blades of different sizes, shapes and teeth, this set will allow one to cut though non-ferrous metals, sheet steel, aluminium, blockboard, ANY wood and ANY plastic, plasterboard and fibreglass. There are little more blades, if any at all, that you would need to complete a job that needs doing. The ultra-sharp, hardened steel blades, together, can manage just about any material of any shape. With a strong steel composite, these blades will certainly last a long time with heavy use, and cut with high precision and accuracy due to the perfectly sharpened teeth on each and every blade. This blade set is also UNIVERSAL and will work compatibly with brands such as Bosch, Black & Decker, Milwaukee, Craftsman, Dremel, Rockwell, Rigid, Einhell and many more!